Every car is special, but an XUV 500 is more so. This subcompact crossover SUV has a six-speed torque converter. To keep it in its special class, you need to provide the best care. Dirt, grime, and oil stains are likely to keep your car company unless you take the steps to keep it clean. Cleaning a car is tedious but it is something we at Motorcoats are adept at. We love to care for cars. 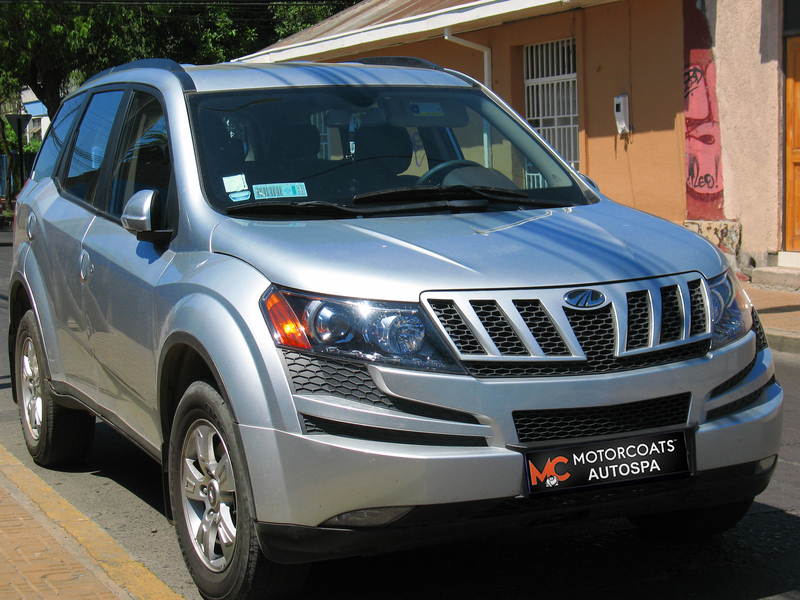 Our speciality is the coating service for all types of cars including XUV 500. To get this XUV 500 car coating service come to our service station near your place. We give two kinds of coating - glass and ceramic coating. This is based on Japanese technology where we use a coating material that binds to the paint of your car. This coating lasts for six to seven months and gives your car a sparkle. A wax and shine will only last for 1-2 months. Also, wax binds causes to paint to rust. So, the car develops a dull appearance. Choose a glass coating for your car and enjoy its shine. But, before you begin this, you must detail your car. Leave the XUV 500 car detailing service to us, the professionals, and we will give your car a shampoo and detergent wash to remove the dirt from the tires and window exteriors. We clean the floor and cabin of your car and shampoo all carpets and floor mats. Vacuuming the interiors and disinfecting it will round up the detailing.